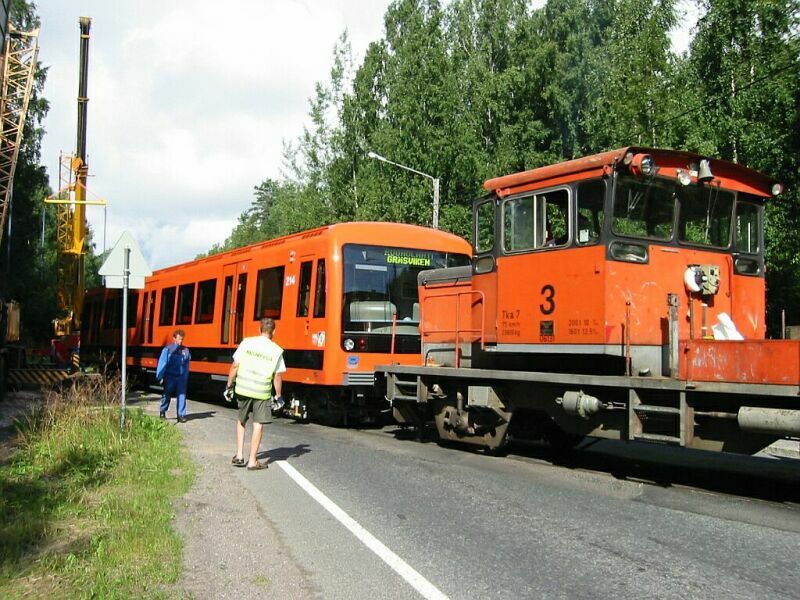 We wre lucky enough to witness the lifting of HKL metro cars M 213 and M 214 onto the tracks in Roihupelto on friday 10.8.2001. Here are a few pictures of the operation. M 214 was lifted first. 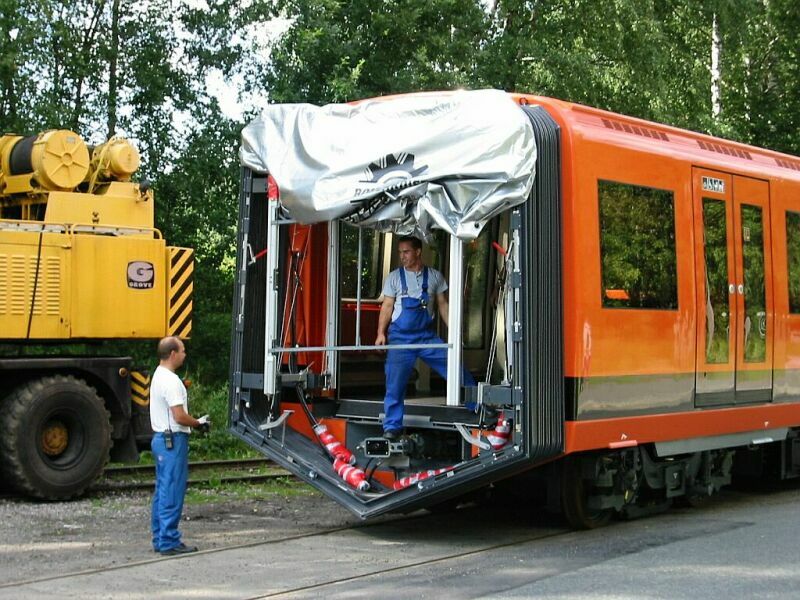 Here it is being pulled towards the metro test section. The traffic on the road was cut off during the operation. 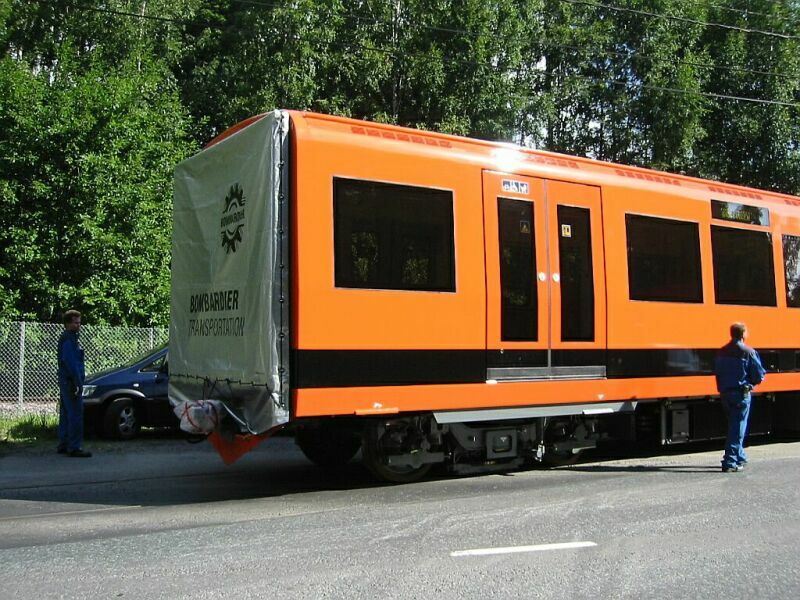 The walk-through articulation is one of the new features of the 200-series trains. 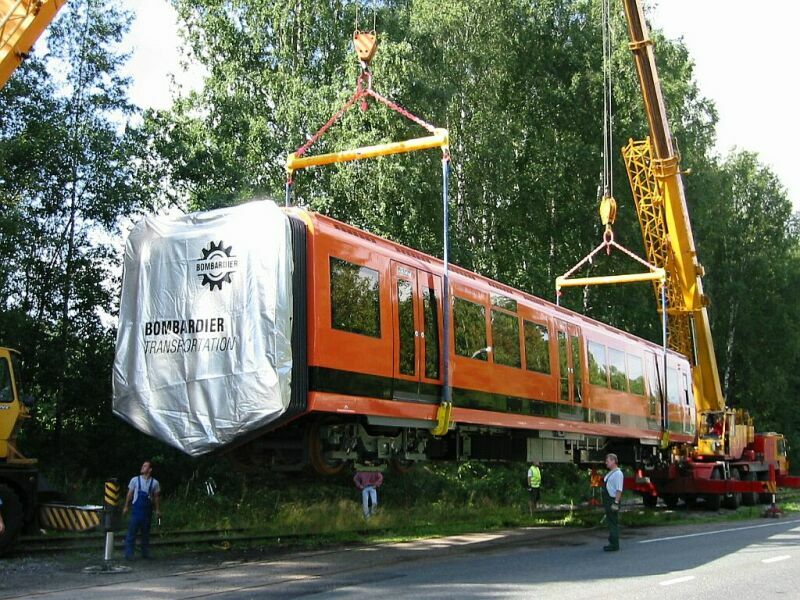 The cars were brought from Germany on large special trucks and they were lifted by two mobile cranes. 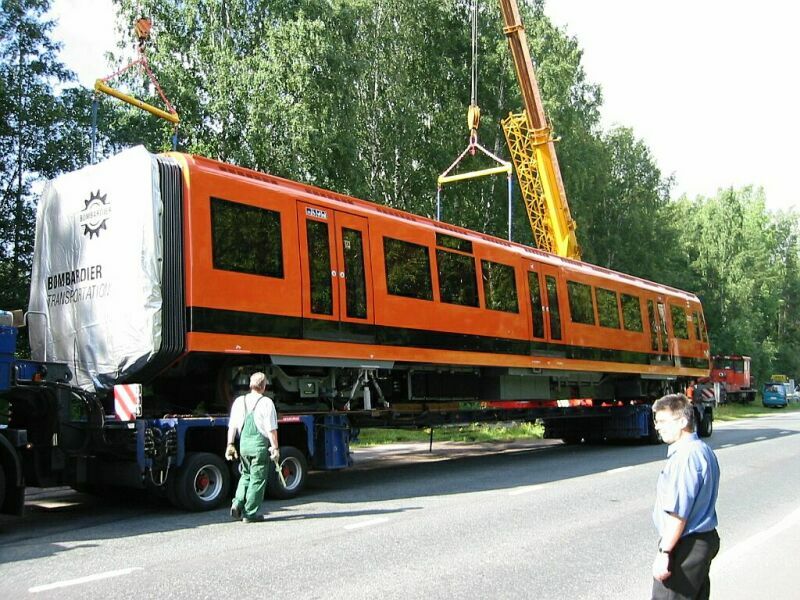 A metro car can also fly with a little help from cranes. 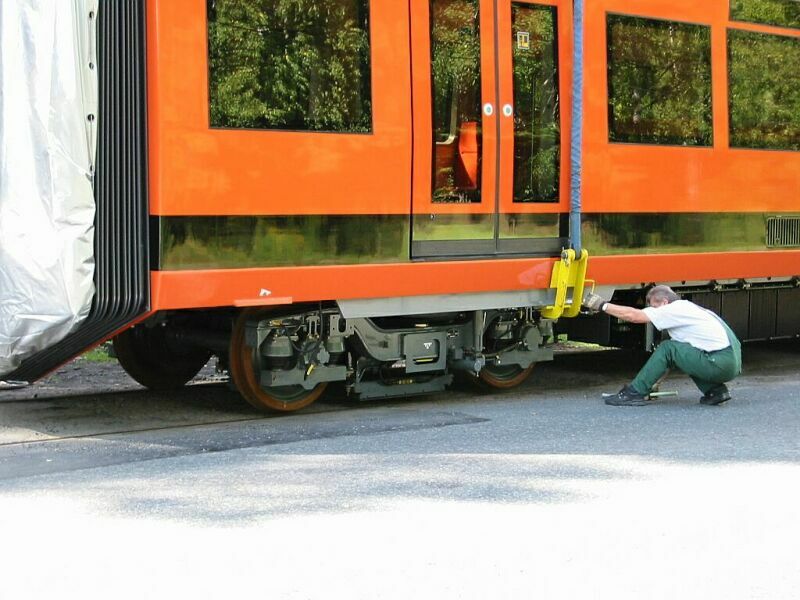 Lowering a metro car is precise work and the car is definetely not light even if it is hangin in the air. The curtain covering the articulated joint had to be moved aside to gain a forward view was the car is pushed. 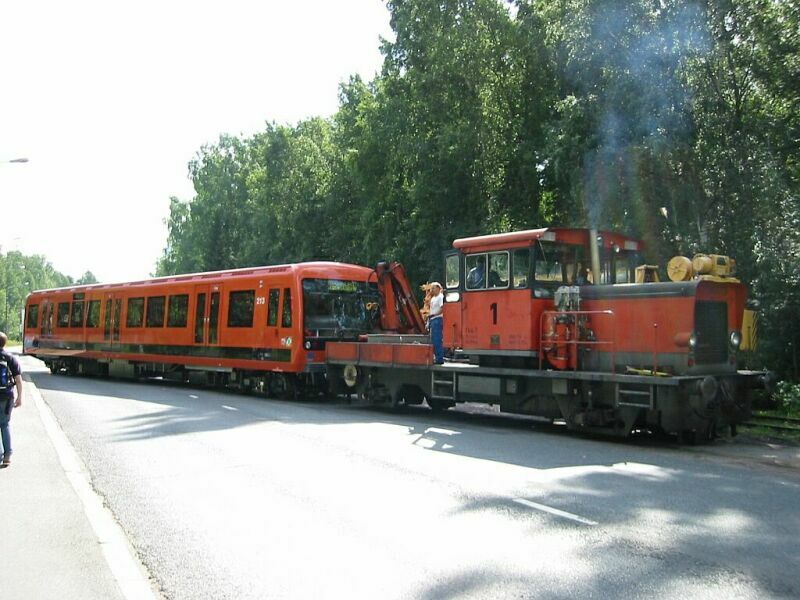 And so HKL rail-truck 1 (Tka 7) pushes car 213 onto the test section.